The Saint Peter Claver Foundation is named for Fr. Peter Claver, a 17th Century Spanish Jesuit priest, later named a saint, who ministered to slaves in Columbia, South America and pushed for the abolition of slavery. The Claver Foundation hopes you will find this website a friendly and accessible portal to the Foundation's values, people, programs and community partners - all of which we hold dear. Beyond this window is a place to find a group of committed individuals who work together toward being responsible stewards of our programs and projects benefiting the human condition. Thank you for visiting our website and for your interest in the Saint Peter Claver Foundation. Click here to join the Claver Foundation community and to receive information on what is happening with the Saint Peter Claver Foundation. 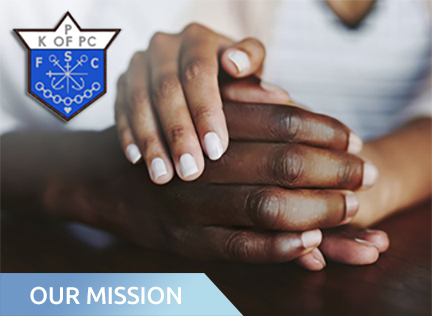 The Saint Peter Claver Foundation fulfils the philanthropic mission of KPC Inc. by supporting individuals and institutions committed to advancing the quality of life for all citizens by working in partnership with the Claver community. The Foundation renders service to God and His Holy Church while recognizing the Fatherhood of God and the brotherhood of man. For over 100 years, the purpose of the Knights of Peter Claver has been to adopt the attributes as defined in the spiritual and corporal works of mercy to assist the Hierarchy and clergy of the Roman Catholic Church in the Apostolic work of which they have dedicated their lives by planning, promoting, sponsoring and executing commendable works of Catholic Action wherever and whenever possible, for giving edification by good example in deportment, in word and in deed, especially to the youth who will emulate these virtuous deeds. 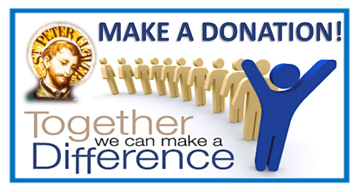 The mission of the Foundation is to promote and enhance the charitable mission of the Knights of Peter Claver, Inc. by addressing the multiple needs and aspirations of the Order's members, its Parishes and the Catholic Community. 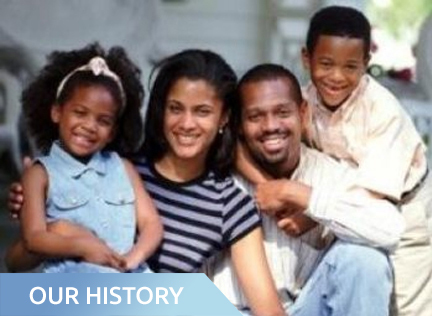 Founded in 2006, the Saint Peter Claver Foundation came together by Clavers who believe deeply in the charitable works of the Knights of Peter Claver and their mission. At the KPC National Convention, the National Council Board of Directors voted to select the first board of Directors which were approved and installation came at the first meeting on held in Los Angeles, California. The goal was to engage the resources of the individuals and businesses to lay the groundwork for a secure future. With funding from the Board of Directors, the Foundation named William T. Everette, Jr. Esq. as the Executive Director. Gathering the time, talent and treasure of the Claver community, the Foundation matured to a Board whose dedication to the ideals of Claver and the benefit of mankind is manifested through its programs and projects. Throughout the year, The Saint Peter Claver Foundation will be hosting a wide variety of fundraising and programmatic events that are available for corporate sponsorship. Sponsorship opportunities for each event feature benefits that meet the complex needs of corporate philanthropy. The Claver Foundation will be happy to tailor sponsorship opportunities to the changing needs of our funders, and we are eager to explore new and innovative ways to partner with businesses in supporting our annual programs and projects.